Teacher: How do you choose an illustrator? Me: I don’t. Publishers choose. Teacher: Do you get to tell them how to illustrate? Most often, especially when a writer is starting out, they don’t get to choose an illustrator or give stage directions or write illustrator notes into manuscripts. At least that has been my experience on the 20 picture books I’ve published so far and with the next few coming out soon. I recently was part of a twitter conversation where some people said their stories appear as words in their mind. But for me it’s scenes, visuals, characters who appear and talk. When I write, I visualise the story in my head. a) The illustrator has a different mind. Their experiences have created a vision in their minds. b) A picture book has inputs from many experts. The words of the story is the north star, but those words can still be interpreted differently by the editor, the designer and the illustrator. c) It is a multi-creative process. When a story has been written, it then transforms into pictures in an independent creative process and that varies from illustrator to illustrator, just like no two writers will write the same story in the same way. More recently I’ve been more interested in thinking about how characters are formed. 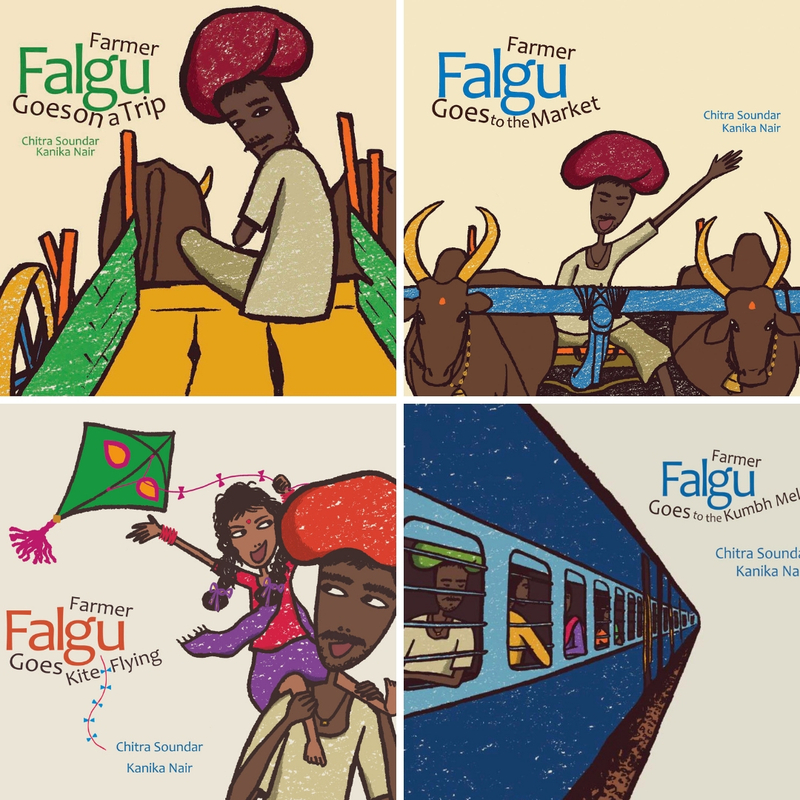 When I wrote the first story for Farmer Falgu, I didn’t have a specific farmer in mind. From the name, it might have been obvious to an Indian reader that he might be north Indian (as there is a river called Falgu in the north) and in the south, the names are more Dravidian and we don’t have the consonant F in our languages. 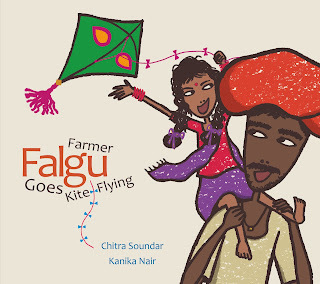 But Kanika Nair who illustrated the first book and the series of 4 titles, had grown up in Rajasthan. So she brought her life experience to the story and made him a farmer from Rajasthan. This was not in my text and something I had not imagined. Read her interview here. She said, "Farmer Falgu Series has been one of my favourites. While reading the script for illustrating I felt an interesting connection between the story and my hometown. Thus, decided to set the story in Rajasthan, a state in northern India that is rich in historical significance and famous for its vibrant colourful culture." The first two stories for this farmer were already written and now he had a specific personality as created by the illustrator. What does that mean to me as a writer then? For the third and the fourth book, I decided to embrace this aspect of Farmer Falgu a bit more. So when I was thinking of a plot line for Book 3 (read about how to write a series here), I decided to bring the cultural aspects of Rajasthan into the story – and hence he goes kite flying. Read more about how this story came about here. Does this happen to all writers and characters? Does the illustrator bring out a different aspect of the character that the writer hadn’t visualised? I went hunting to find out about some famous characters and their creators. Here is an interview by Julia Donaldson and Axel Scheffler on creating the Gruffalo and the animals in the forest. Read how Julia had a different colourful image in her mind and when Axel finally settled on how Gruffalo looked, she was happy with it. And then came of course other stories for Gruffalo and Gruffalo’s child and they all had to follow Axel’s portrayal of the forest and the animals. Another famous collaborator is Quentin Blake and he too talks about how his pictures came to be to bring life to Roald Dahl’s words. "What was so wonderful to me was that so many of Roald's stories were fantastical, unrealistic, so I was free to do what I wanted. I could let my style develop. Think of The Twits or the BFG - they don't really take place in a realistic world. They come from my head." In another interview for the BBC Quentin Blake recalls visiting Dahl and Sophie and redrawing the illustrations for BFG after that. And that’s a rare thing indeed because after 20 picture books, I’ve had dinner with only two of my illustrators and I haven’t even met most of them. Whether Blake’s illustrations then in turn influenced Roald Dahl or not when he wrote the next story, I don’t know. But as children and adults who read these books, the characters like Matilda, BFG and the Twits are visualised in our heads are from Blake’s illustrations. Aren't they? Do you write picture books? What are your experiences working with an illustrator? Share below in comments. Are you an illustrator? How do you go about making up a character from someone else's words? Chitra Soundar is an Indian-born British writer, storyteller and internationally published author of children’s books, based in London, England. Chitra writes picture books, poetry and fiction for children and often visits schools, festivals and libraries to run writing workshops and tell stories. Find out more at www.chitrasoundar.com. Follow her on Twitter @csoundar. A brilliant post, Chitra. My experience with illustrators is very similar to yours and, I suspect to most pb authors out there. Strangely, I do see the characters clearly in my head when I'm writing but once I've seen the illustrator's version I can never recall my own images again. Chitra - a great post. I see my characters in my minds eye and talk to them as I write about them. 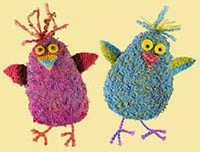 So, have an idea of what they look like. But this never matches what is finally published. I've only ever had a chance to give input on the illustration side on one book and I felt as if I were treading on toes. I'm not an illustrator (although I'd love to have that talent) so don't really feel I have the knowledge or skill to be able to add to what they create. Which thankfully has always been better than I immagined.